Former broadcaster Pamela Wallin, Olympic icon Nancy Greene Raine and CTV broadcaster Mike Duffy were among 18 Canadians named to the Senate on Monday by Prime Minister Stephen Harper. 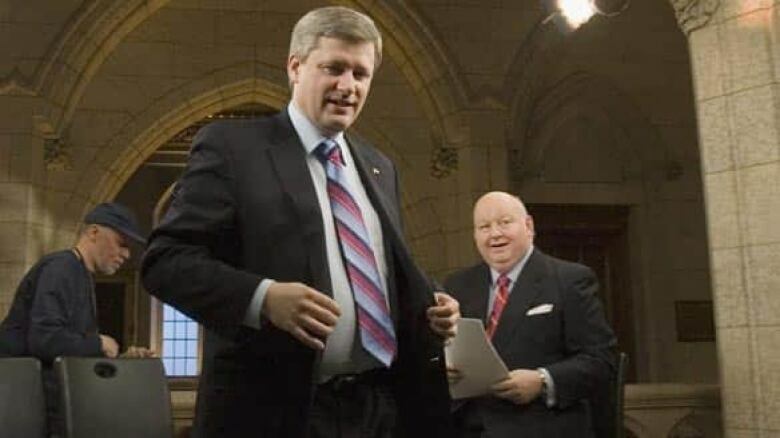 Prime Minister Stephen Harper walks away following a television interview with Mike Duffy in Ottawa in February 2007. ((Tom Hanson/Canadian Press))Former broadcaster Pamela Wallin, Olympic icon Nancy Greene Raine and CTV broadcaster Mike Duffy were among 18 Canadians named to the Senate on Monday by Prime Minister Stephen Harper. Duffy, appointed to the single vacant P.E.I. seat, has been a fixture on Parliament Hill for decades as part of his daily political talk-show, while his former colleague Wallin worked for CTV and CBC. The deluge of appointments sets a record for the most Senate seats filled in a single day and is part of Harper's efforts to ensure a Tory toehold in the upper chamber. Until now, the prime minister refrained from filling most of the vacancies — with the exception of two — because of his long-held position that those sitting in the Red Chamber should be elected. By making the appointments now, Harper sought to prevent a potential Liberal-NDP coalition government from getting the opportunity to fill the seats. "If Senate vacancies are to be filled … they should be filled by the government that Canadians elected rather than by a coalition that no one voted for," Harper said in a news release. Seats in the Senate are highly coveted, with earnings exceeding $130,000 a year until the person retires or reaches 75. Many of the regionally distributed seats went to well-connected Conservative partisans, including businessman Irving Gerstein (Ont. ), former Progressive Conservative MP Suzanne Fortin-Duplessis (Que.) and defeated MP Fabian Manning (N.L.). Harper filled Quebec's vacancies in the Senate with four new faces, including Michel Rivard, a former politician with the separatist Parti Québécois, whose appointment the Liberals say contradicts Harper's anti-separatist rhetoric during the recent constitutional crisis. "After insulting the Bloc Québécois MPs, who were duly elected, that he would appoint a Péquiste is totally amazing," Liberal Senator Céline Hervieux-Payette said. Also among the appointees for the three B.C.-designated seats was Richard Neufeld, provincial minister of energy, mines and petroleum in the Liberal provincial government. Though he's a B.C. Liberal, he's considered a supporter of the federal Tories. Stephen Greene, former deputy chief of staff to N.S. Premier Rodney MacDonald (N.S.). N.S. businessman Michael L. MacDonald (N.S.). Long-time New Brunswick MLA and cabinet minister Percy Mockler (N.B.). Lawyer John D. Wallace (N.B.). National chief of the Congress of Aboriginal Peoples Patrick Brazeau (Que.). Director of Via Rail Canada Leo Housakos (Que.). Nicole Eaton, member of the prominent Eaton family (Ont.). Co-founder of the Corean Canadian Coactive (C3) Society Yonah Martin (B.C.). Former Yukon MLA Hector Daniel Lang (Yukon). Harper has vowed to continue pushing for Senate reforms, and said all incoming senators had promised to support eight-year term limits and other Senate reform legislation. 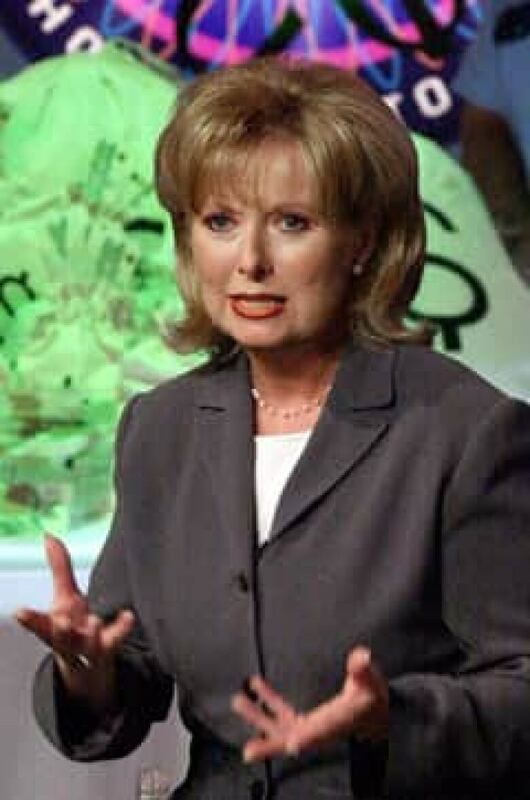 Pamela Wallin talks about Who Wants To Be A Millionaire, Canadian Edition, at a news conference in Toronto in August 2000. ((Aaron Harris/Canadian Press))"For our part, we will continue working with the provinces and reform-minded parliamentarians to build a more accountable and democratic Senate," Harper said. The government said nominees are also expected to resign and run for their seats if their designated province ever introduces elections. Wallin stands the greatest chance of facing an election, since her province of Saskatchewan has introduced legislation following in the footsteps of Alberta's law that allows voters to choose candidates. The names would then be referred to the prime minister, who has sole power to name Canadians to the Senate. According to Harper's release, Wallin has agreed to step down and submit her name as a candidate should the bill ever become law in her province. Another senator-to-be, national chief of the Congress of Aboriginal Peoples Patrick Brazeau, said he had no discussions with the government about his stance on Senate reform prior to his appointment, but noted his pro-reform viewpoint is well known. Opposition parties have been critical of Harper's decision to make the appointments during a time when Parliament is prorogued. The New Democrats accused Harper of being "hypocritical" for not following his stance on elected senators, plus making the decision at a time of economic uncertainty. "Stephen Harper keeps telling Canadians to tighten their belts," said NDP democratic reform critic David Christopherson. "But these 18 unelected senators will cost the taxpayer over $6 million a year. When will the Conservatives start practising what they preach?" The Liberals said the prime minister should not be allowed to make what they say are patronage appointments when he doesn't have the confidence of the House of Commons. "Appointing senators when he lacks a mandate from Parliament is not acceptable," interim Liberal Leader Michael Ignatieff said in a release. In early December, Harper asked Gov. Gen. Michaëlle Jean to suspend Parliament until Jan. 26, a move aimed at avoiding a confidence vote in which opposition parties planned to topple his minority government and try to bring a Liberal-NDP coalition to power. But the opposition parties could still trigger an election on Jan. 27 when the minority Conservatives introduce their annual budget, and Harper was worried about losing the chance to fill the seats, the CBC's Margo McDiarmid reported. Minister for Democratic Reform Steven Fletcher defended the decision to go ahead with the appointments. "There were so many vacancies in the Senate that it wasn't able to function … and we had an unelected body blocking legislation from an elected body, the House of Commons," Fletcher said. "It wasn't a sustainable situation." Until now, the prime minister held off filling the 18 vacancies in hopes of reforming the Senate to make sure members are elected, but his minority government was unable to pass a Senate election bill and another limiting senators to eight-year terms. 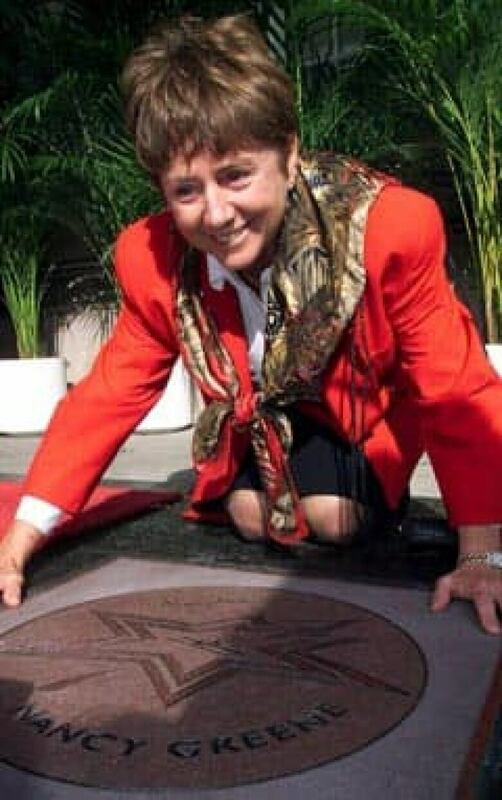 Canadian downhill skiing legend Nancy Greene Raine is shown at the unveiling of her star on Canada's Walk of Fame in Toronto in 1999. ((Kevin Frayer/Canadian Press))Prior to Monday's appointments, Liberal-affiliated senators occupied 58 of the 105 seats, while 20 were held by Conservatives. Other seats are held by Independents and senators of other party affiliations. The Tories had previously only named Quebecer Michael Fortier and Albertan Bert Brown to the Senate since coming to power in early 2006. Following the January 2006 election of a Conservative minority government, Harper gave Fortier a seat in the Senate and then appointed him to a cabinet post, a decision he said was to ensure representation for Montreal. The Montreal lawyer resigned from his Senate seat for an unsuccessful bid in the October election. Brown was elected in Alberta, the only province that has held a vote to select Senate candidates. In November, Saskatchewan followed suit and introduced legislation to allow voters to choose senators. Also Monday, Harper made another high-profile appointment — naming Thomas Cromwell of the Nova Scotia Court of Appeal to the Supreme Court. By doing so, the prime minister bypassed a parliamentary hearing process he has championed to more openly scrutinize nominees. YOUR VIEW: What do you think of the new appointments? Nancy Greene Raine nabs 1 of 3 new Senate seats for B.C.